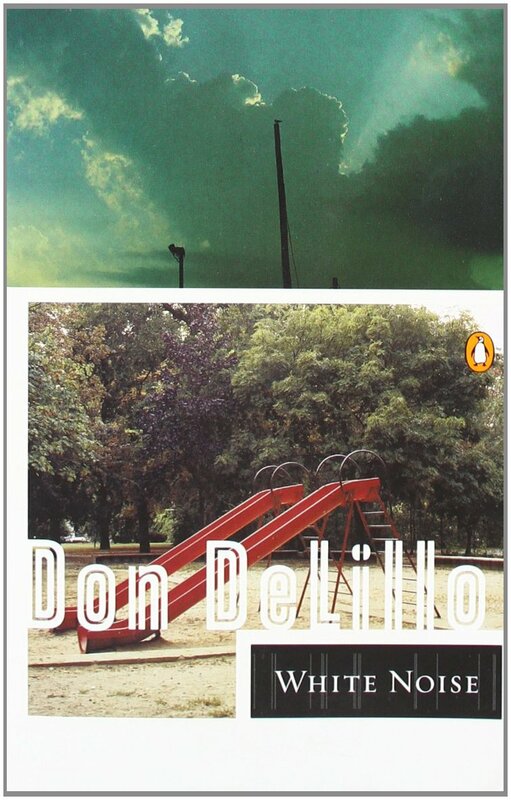 Don Delillo has been floating around the outside of my literature radar for awhile now. He was sort of one of those authors that I'd always see English and Lit Majors reading from time to time (along with folks like Chuck Palahniuk and Irvine Welsh) but I had never actually sat down to read any of his books. Happily, Independent Bookstore Day comes but once a year and this year, I perused the bookshelves of Prairie Lights and ended up picking up a copy of White Noise. For such a slim volume, White Noise leaves a lot for you to ponder and unpack but I think if there's one big idea that I'm left with, it's the sort of fascinating power that the fear of death holds over not only individuals, but society as a whole and how much of that fear-whether unconscious or not, drives our modern culture and every day life. Set in a Midwestern college town that I'm not actually sure gets a name (the college is called 'The College On The Hill), White Noise tells the story of Jack Gladney, a Professor in the cutting edge field of Hitler Studies who doesn't speak a lick of German as the story opens- and is just now getting around to taking lessons. He's been married five times to four different women and lives with his current wife, Babette and their mix of children and stepchildren and, as their both advancing through middle age, they frequently wonder which of them will be the first to die. Their fears are largely kept to themselves, though occasionally they tell each other their preference for who gets to die first, but then they are confronted with The Airborne Toxic Event*, where a chemical spill releases a huge black cloud over the town and the family is forced to flee. Jack gets exposed to the toxin and is forced to confront his own reality, even as the family returns home to an organization called SIMUVAC that starts simulating disasters around town. Then, Jack discovers that Babette has been cheating on him in order to get access to a drug called Dylar, which supposedly relieves the fear of death. Still obsessing over his own mortality, a friend of Jack's, Murray suggests that killing someone could alleviate the fear- so Jack hunts down the drug-pusher who gave Dylar to Babette and rehearses the many ways he wants to kill and almost does, but when he's putting the gun in his hand, he uses it to shoot Jack, who then changes his mind and helps save him by carrying him a hospital run by German nuns who don't believe in God or an afterlife. The final chapter talks about Jack's youngest child, Wilder, riding a tricycle (good parenting here) across the highway and somehow surviving. I'm not sure if you could call this entirely satire, but it is a nicely postmodern commentary on modern life and how fear and death stalk us and terrify us and motivate us in ways good and bad. It's an easy read and unlike, say Gravity's Rainbow (which defeated me- for now. I shall return!) it's structure is pretty conventional and easy to follow. Given the fact that this was written in 1985, it's prescience is eerie, given the state of the nation in the events following September 11th. Fear is everywhere these days. Whether it's fear of death of a just a generic "fear of [insert something here]" I don't know, but White Noise felt timely and important to me. The last line ("The cults of the famous and the dead.") just hangs there beautifully as well. *I love this song and I was hoping that this book is where the band got it's name from and it turns out I was right.